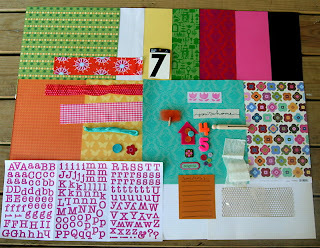 Challenge 19 is up at Scrap Mojo. The challenge is to scrap the phrase "Say hello to my little friend" and use a page from a book. Due August 15th. 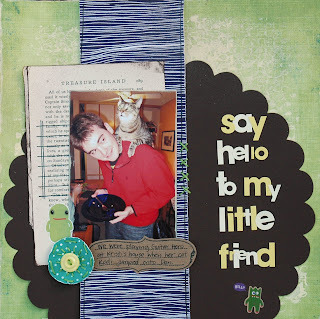 We have Kara Haupt as our guest designer and an awesome prize from the Red Velvet Art Kits! Hope you give it a spin! It has been so foggy here that we drive to places where we know there is sun. On Monday Jenna, Toby, Dan, and I piled into the car and went to In & Out. They gave us stickers! We ended up in San Mateo and yep, there was sun! Jenna can spend endless amounts of time roaming through Safeway, so she did just that. I guess you might say we drove 30 minutes to have Jenna buy pie in a different Safeway. We're silly like that when it comes to finding the sun. I'm nearly done editing wedding pictures! I started out with something crazy like 1700 photos and I'm aiming to get it between 500-700 photos for the bridal party. Hopefully I'll have them in the mail on Friday. 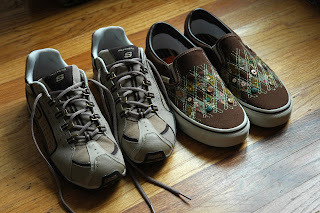 I told my mom that I have been having trouble finding cute shoes that will be comfortable for Europe. She came home with these two pairs the other day. I thought I was pretty dedicated to finding some but she really came through. I like both pairs but I'm going to leave the slip ons at home since they are heavy. Jess got me super excited about my visit since it is less than a month away! I leave September 3rd. And no, I'm not ready yet. Eek. 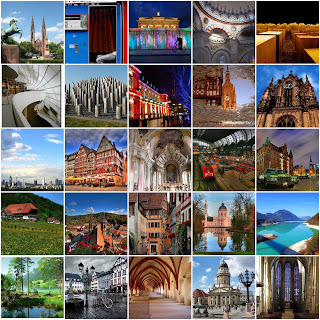 So here are some of my faves from flickr of Germany. You know what you HAVE TO do?? You have to go see the Heidelberg Castle Illumination! That link says its on the 6th of September this year. When we went we were right by the bridge (cause we got there early)and the fireworks are right on top of you! It's the coolest thing ever! Thanks for the suggestion. That sounds beautiful! Cute LO! I'm still so jealous that you get to go to Europe. ;0) Ahhh...the things I should have done before I had kids.